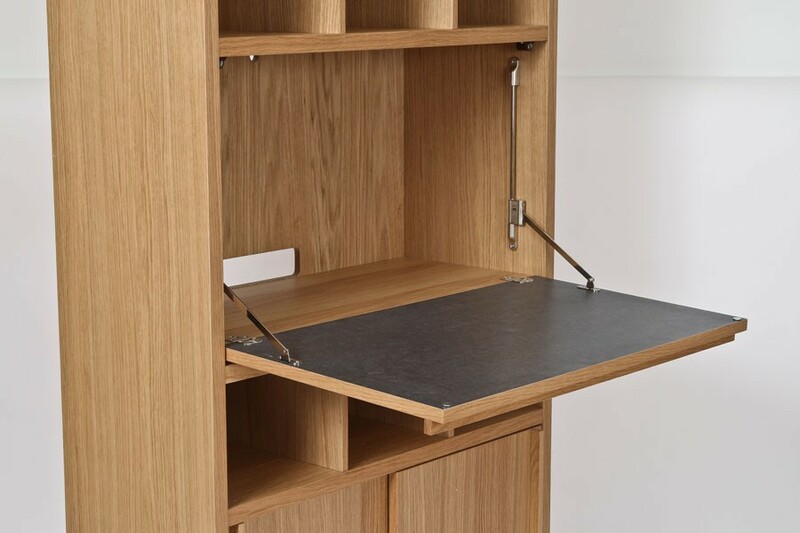 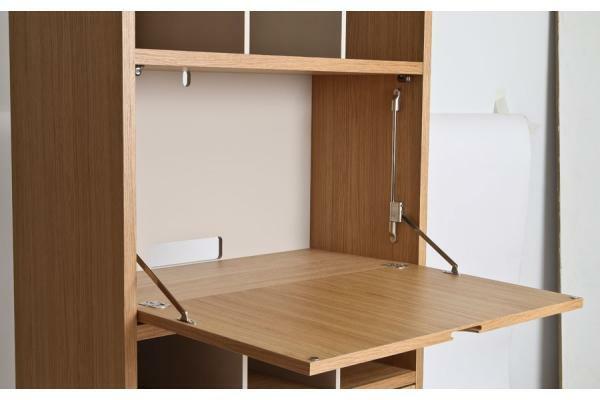 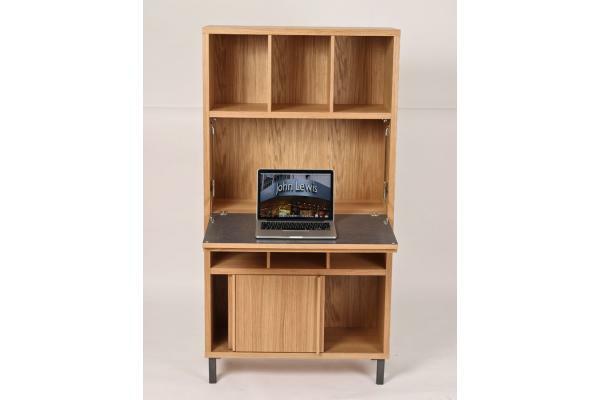 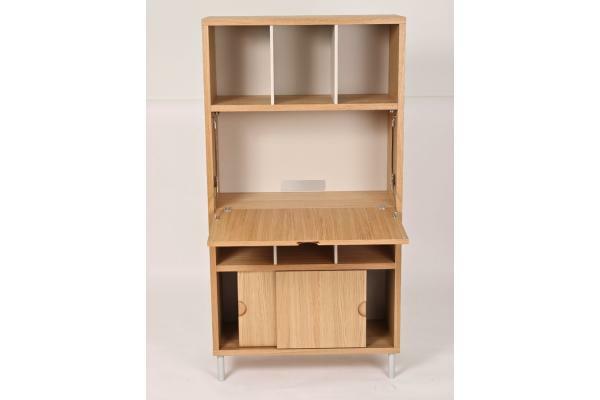 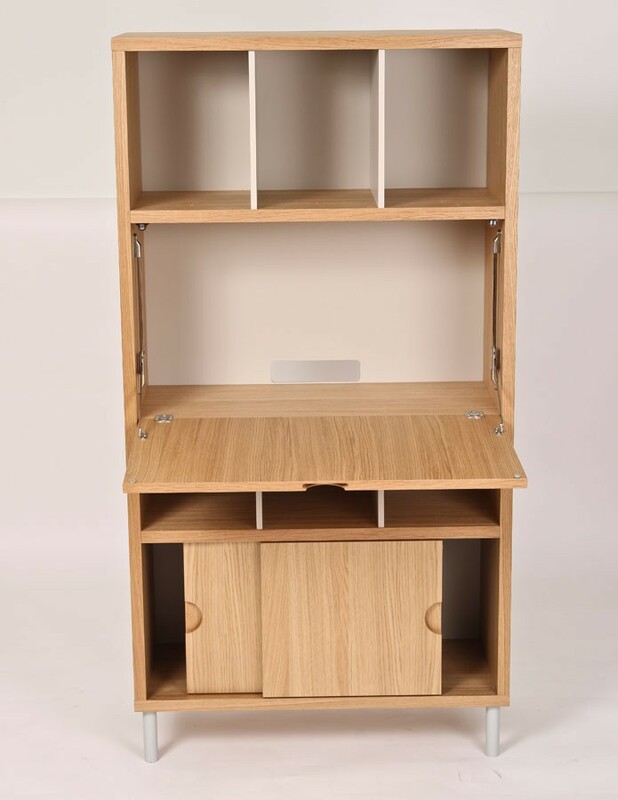 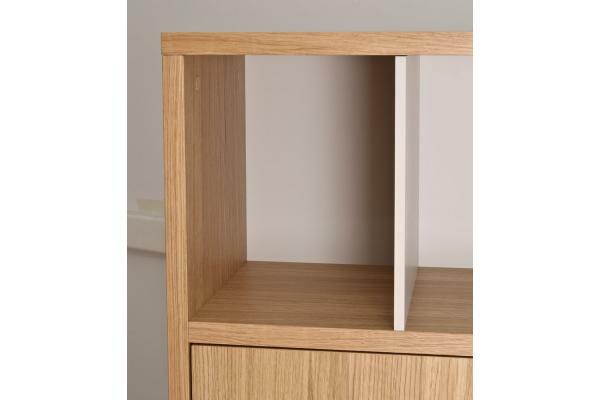 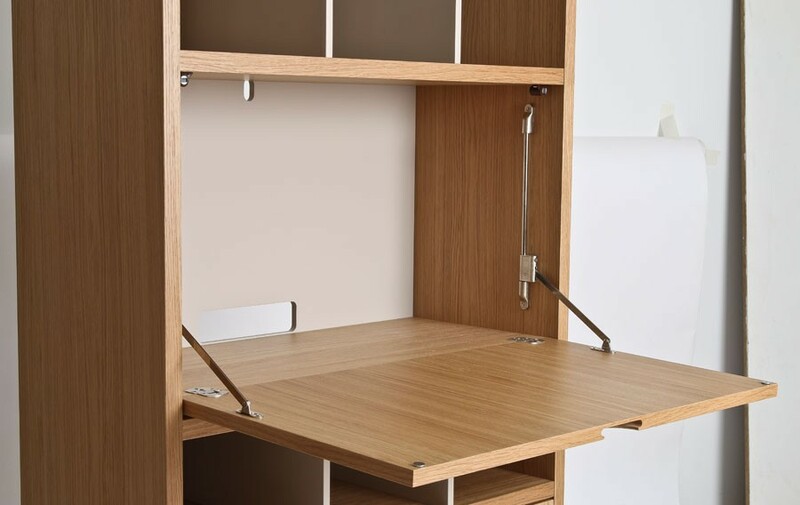 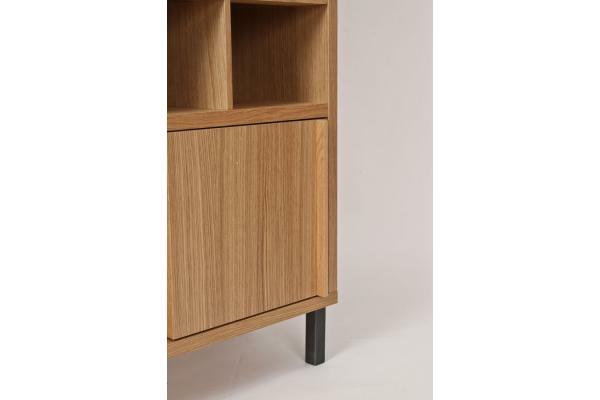 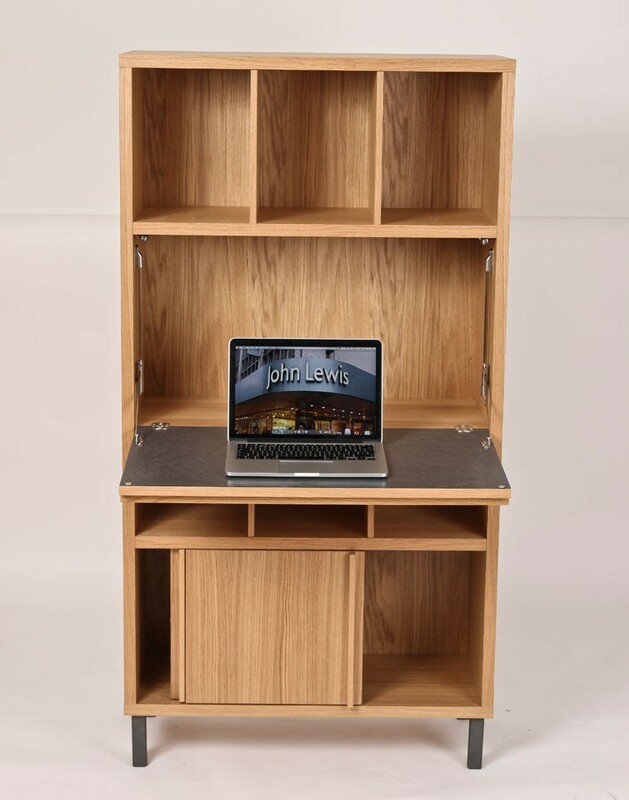 A contemporary designed office unit with drop down work top and sliding doors. 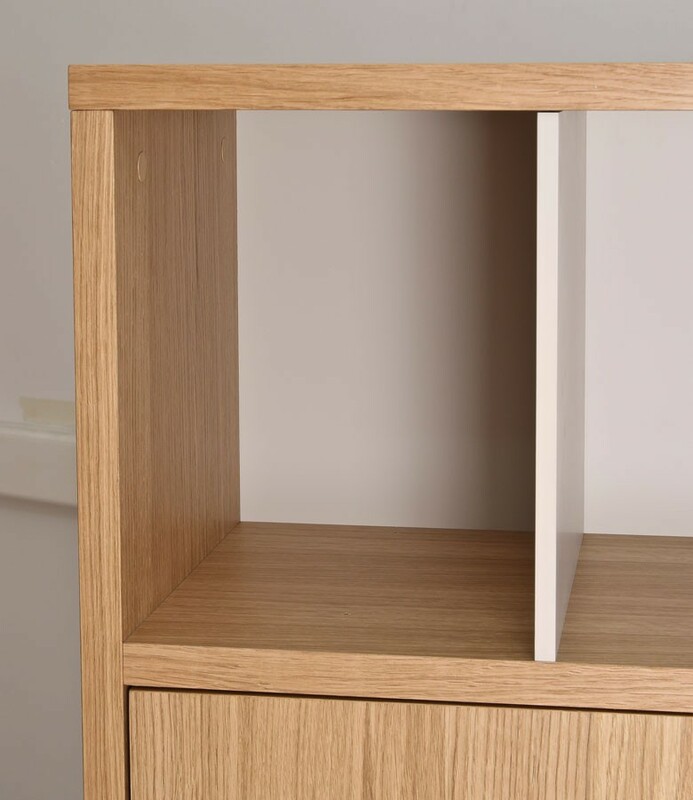 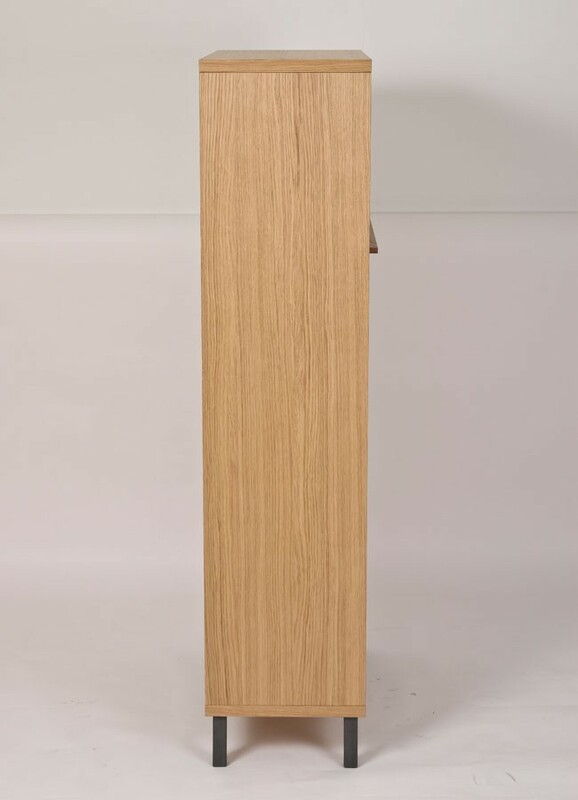 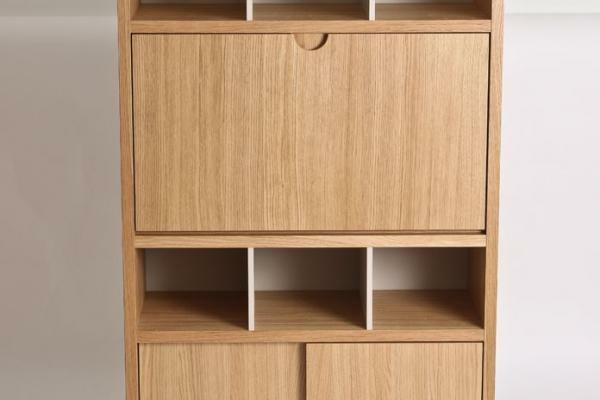 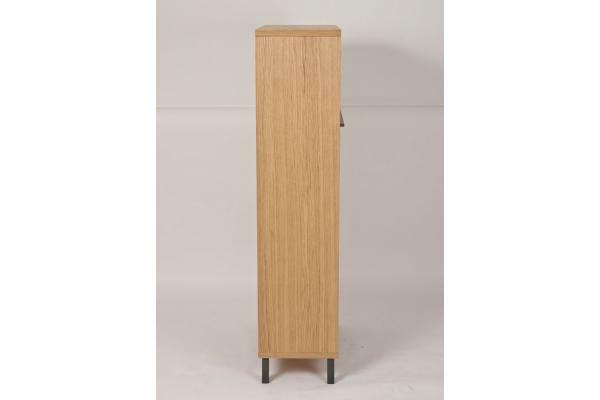 Veneered oak carcass finished in clear lacquer. 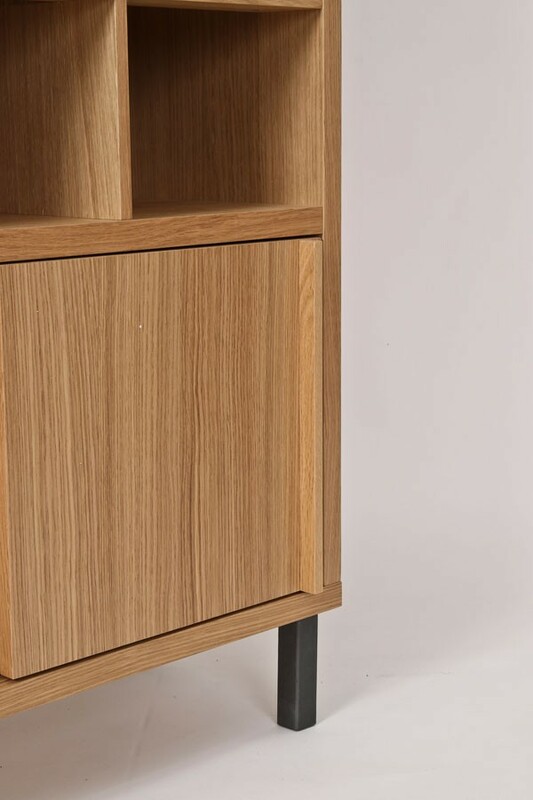 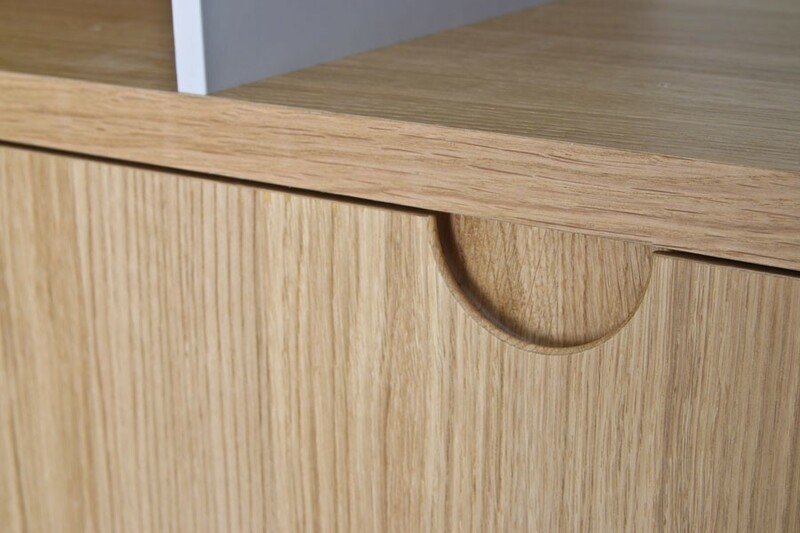 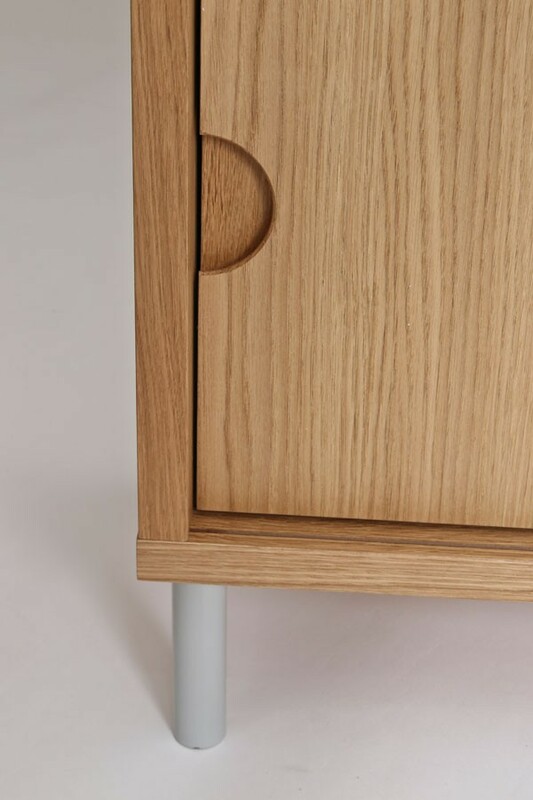 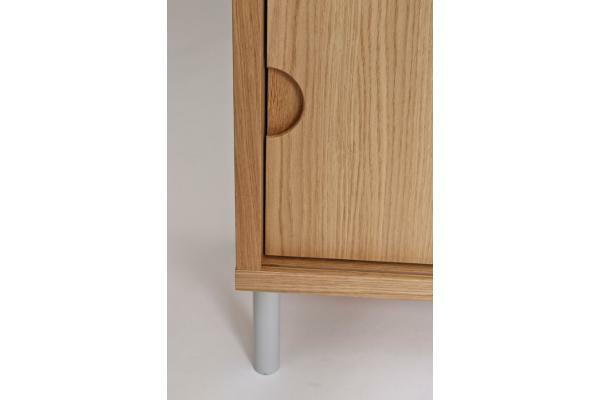 Recessed handles give extra touch to design.